The country Oxfordshire is located in south-central England. It is famous worldwide, for the University of Oxford which is located in the heart of the city. Thus, it is often known as the city of spires. Having said this, Oxfordshire is also famous for its historical museums and ancient history. Oxfordshire is a hub of shopping centers and it ensures to provide a perfect souvenir for all kinds of visitors. 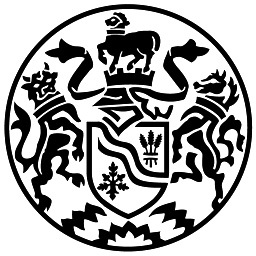 However, Oxfordshire is also rich in cultural practices. It has some strange customs and practices which the world is unaware of. These traditions are worth getting acquainted with. 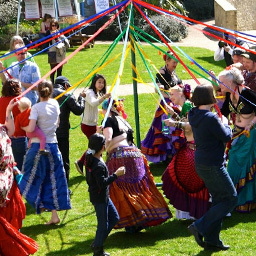 Maypole Dancing- This is a kind of folk dance that is done to celebrate the May Day and the arrival of spring. This custom is being practiced from the medieval period. On this day, the prettiest girl in the village is selected as the May Queen. The others in the village must wear their best clothes, shoes and accessories. Cheese-Rolling In The Cotswold- If you are a cheese and food lover, you must embark to witness this festival. It involves many men rolling down the landscape with a huge Double Gloucester Cheese of about 70 mph. The person, who first crosses the finish line, wins. He then ought to perform a shirtless sprint. Despite the enthusiastic spirit, the cheese-rolling leads to many injuries. However, it is a custom unique to this place and truly reflects its flavour. If you embark here, you must witness this festival! Tar Barrel Racing- In this practice, massive old-wood and iron barrels are filled with tar. Subsequently, they are lit and carried with great speed across the town on the shoulders of burliest Ottregians. It is tremendously fun but dangerous. However, it is legal here. A large crowd shows up every year to witness this practice. Wife Carrying- This is a practice where the husband carries the wife on the back and participates in the race. It is mandatory for the wife to weigh at least 50 kg. If the wife weighs lesser than that she must compensate by holding or carrying some additional grams. The winning couple wins a barrel of pilgrim ale and some cash prize. They are also selected to participate on the world champion’s day in Finland, where the competition is held on a larger scale. Pancake Flipping- The last day of February is celebrated as Pancake Day. Large crowds gather to participate in the Pancake races that take place every year. People wearing white aprons and chef hats participate in 10 lap races. They have a frying pan in their hand and flip pancakes. This practice can be traced back to centuries. It is worth witnessing and will help you to taste the true flavour of this place. Hurling The Silver Ball- This practice involves throwing silver balls across the parish boundary. The silver balls must get into one of the goals set two miles apart. This is another custom unique to this place which the world is unaware about.